Some legendary footballers are iconically attached to a particular football club. While there are someone club legends like Manchester United's Ryan Giggs or AC Milan's Paolo Maldini, there are some legends who, despite having been known to have played for one club, have played for some peculiar clubs that you may not know of. We cover some of the true greats of the game ranging from a defender to an attacking midfielder, from a German World Cup-winning captain/manager to arguably the greatest player of all time. Only legends get away by playing for some rival teams and here are 5 legends, who despite being successful for one club, tried their hands at other clubs that one does not usually associate them with! We start the list with Franz Beckenbauer. Der Kaiser is, without doubt, Germany's most successful player having captained Germany to victory in the 1972 Euros and the 1974 World Cup and later managed them to victory in the 1990 World Cup. The club Beckenbauer is most associated with is Bayern Munich. Der Kaiser joined the Bavarian club in 1964 and represented them for more than 500 games. Most notably, he guided the club to three consecutive European Cups from 1974 to 1976. 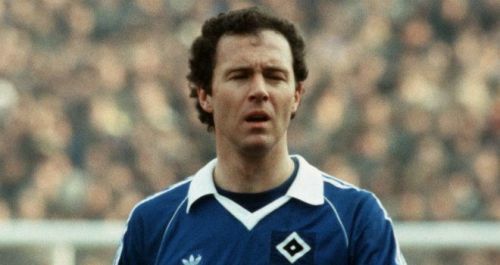 However, during the later stages of his career, Beckenbauer joined Bayern Munich's German rivals Hamburg SV. Beckenbauer joined the Die Rothosen in 1980 and spent a total of 2 seasons with them. Those two seasons were plagued by injuries and Beckenbauer could only manage 37 appearances. However, he did manage to win one Bundesliga title with the club in 1982. However, this part of his illustrious career is hardly known to many and thus Franz Beckenbauer will always be considered as a Bayern Munich legend and not remembered for his 2-season stay at Hamburg.